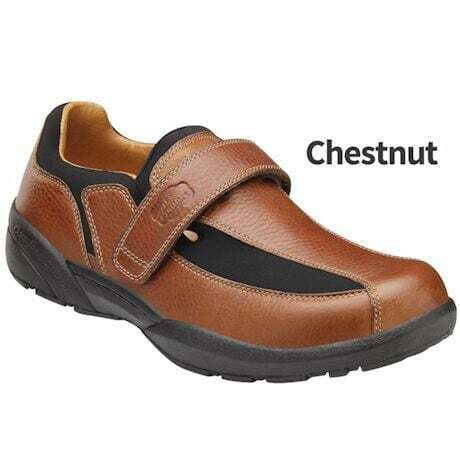 With a leather and Lycra upper, these shoes stretch to fit your foot naturally. 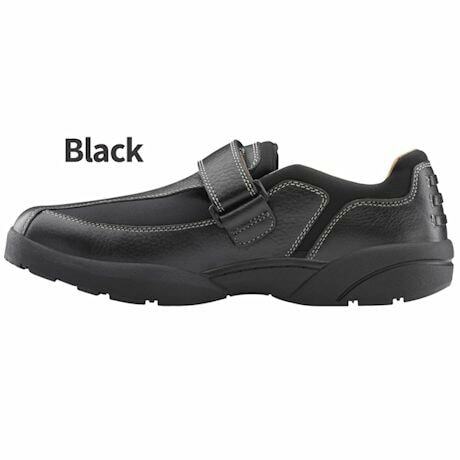 The extra-deep (7/16") shoes are loaded with features to support, comfort, and protect your feet, while looking great dressed up or down. A hook and loop strap makes them easy to put on and take off, and dial in the perfect fit. 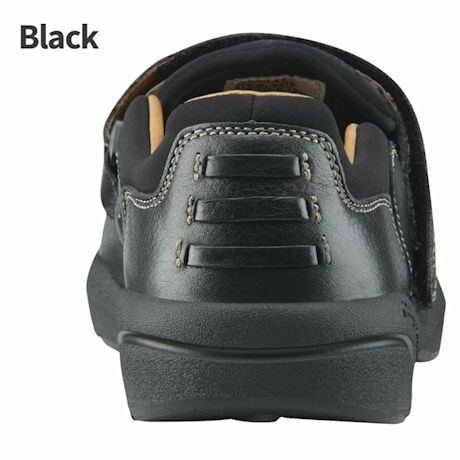 The extra-wide, protective toe box reduces pressure and potential for injury. 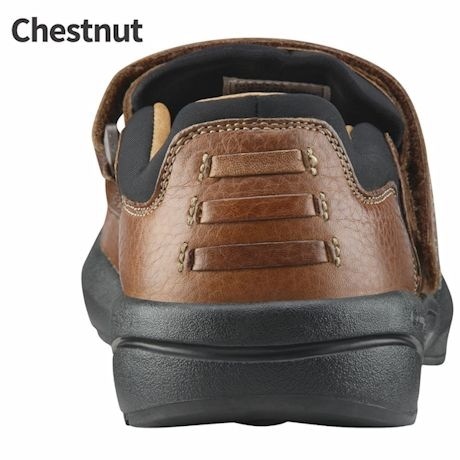 A supple leather lining helps keep feet dry and cool, while the padded heel and tongue gently cradle feet. 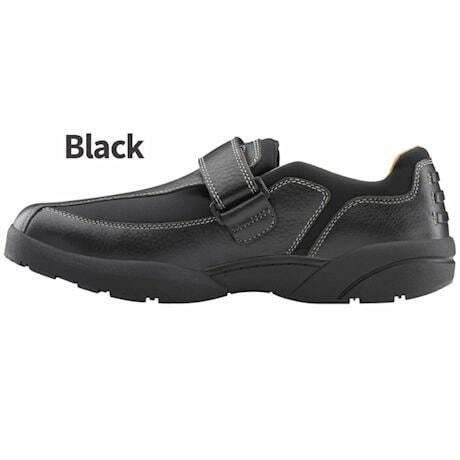 A firm heel counter and Gel Plus insert provide lateral and medial stability for balance and support. Gel padding under the heel and metatarsals comfort and soothe pressure points. 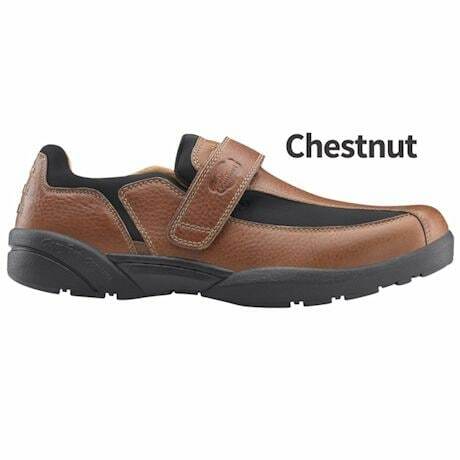 A perfect solution for those with neuropathy, swelling, pronated or flat feet, bunions, hammertoes, and sensitive diabetic feet. 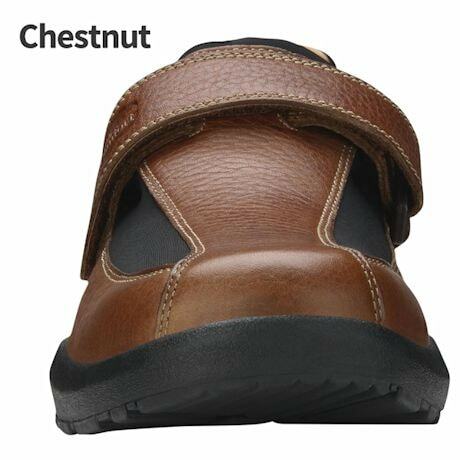 Non-skid, long-wearing outsole. Imported. 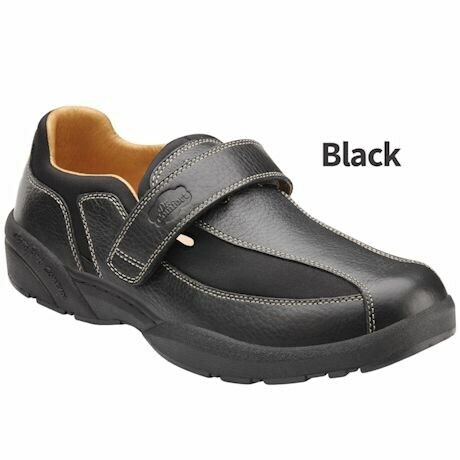 Available in narrow, medium, wide, and extra wide widths in sizes 6-12, 13, 14, 15. 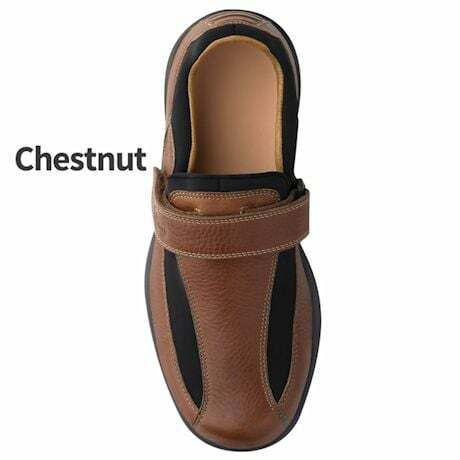 Specify Black or Chestnut.